Hardwood flooring is a great long-term investment for your property that can last for generations. There are a vast number of options available to consumers, and it can be a fun though overwhelming prospect to choose a style that you will love forever. But when you finally decide, Taunton Floor Refinishing is at your service to properly install it. We have years of experience, and we are a long time presence in South Shore, Ma, having installed flooring for more than thirty years for countless clients. Whether you are interested in refinishing your floors, or if you desire the installation of new floors, our professional flooring contractors are at your service. There is no denying that hardwood floors are a great option. They are attractive and when well maintained, they can be a showpiece that highlights your personal style. There are different ways to have your hardwood floors installed and choosing the appropriate methods depends on the type of hardwood you select. Your wood-flooring specialist should be able to tell you the correct method, otherwise, you may jeopardize your warranty. You can be sure that with the many years of experience in the flooring industry, Taunton Floor Refinishing contractors know the accurate way to install your hardwood flooring. 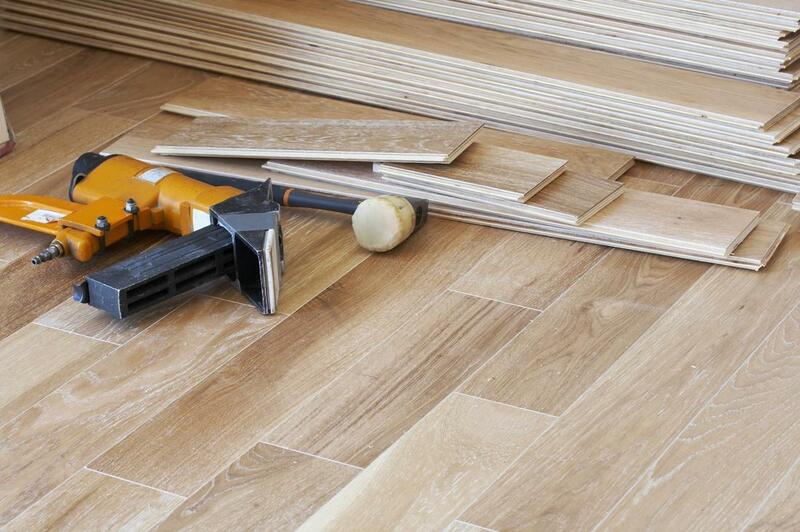 We only hire the best and most qualified flooring professionals to help with your flooring needs. When you’re seeking a local hardwood flooring company to assist you, look us up and we’ll offer you all the information you need. Our helpful and knowledgeable associates will assist you with a cost analysis before we start any work to ensure you are prepared for the expense of new hardwood flooring. Wood flooring is a valuable investment and installing it is a careful process that warrants hiring a professional flooring contractor to protect your asset. In fact, many wood flooring manufacturers will not honor a warranty if the flooring is not properly installed. It’s just not worth the risk of a do-it-yourself experience or attempting to use any other non-professional effort when you can hire a specialist. Our flooring contractors have years of experience, skill, and the specialized tools required for installing the wide variety of wood flooring styles on the market, whether it’s traditional nail-down wood floors, glue or staples, we ensure the job is done right. Give our experts the chance to show you why our services are the premier flooring contractors in Taunton, Ma. There are plenty of flooring companies to choose from on the South Shore, but there is one leader so when you want the best and most qualified, call Taunton Floor Refinishing. Our professionally trained and expert flooring specialists are happy to assist you with your new hardwood flooring needs. Just give us call and we will provide you with a detailed estimate of your work plans. We offer our customers fair and affordable prices and guarantee their total satisfaction.